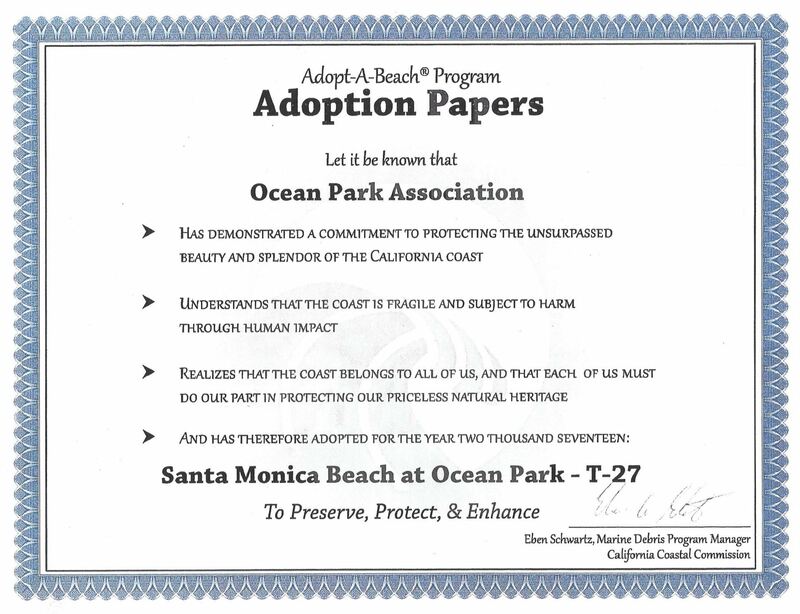 Ocean Park Association Recognized by the Coastal Commission for Adopting and Protecting Santa Monica Beach! We would like to give a special thank you to the California Coastal Commission for recognizing our devotion and commitment to protecting Santa Monica's iconic beach. 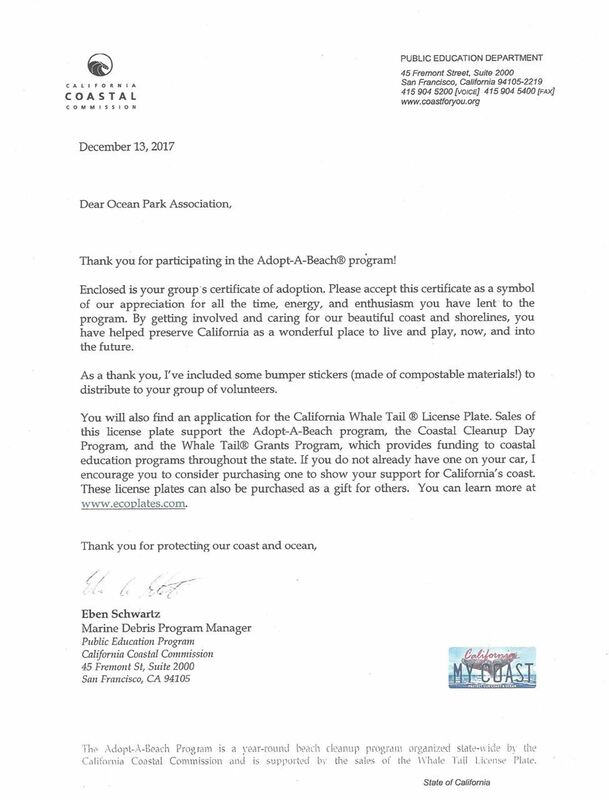 As you may have heard (or been a part of) TEAM OPA has been integral in organizing beach clean ups and volunteer opportunities for Ocean Park residents. While we are heartened by this recognition we are also mindful of the continuing necessity to protect our beach and to Protect the Pacific. If you'd like to be involved in a beach clean up in the future. Please join our mailing list to stay in touch. When many hear “green travel” they think of camping in the wilderness, but living in Santa Monica you don’t have to sacrifice in order to “go green.” Santa Monica provides many eco-friendly restaurants, hotels, attractions and transportation alternatives so you and your family can enjoy our city guilt-free and protect the home you love. We at the Ocean Park association invite you to check out some of the exciting "green" things happening in our city. Climate Action and Adaptation Plan Survey! Your feedback is needed! 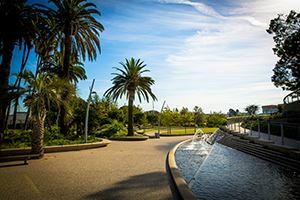 The City of Santa Monica is currently developing its carbon neutrality plan: the Climate Action and Adaptation Plan. 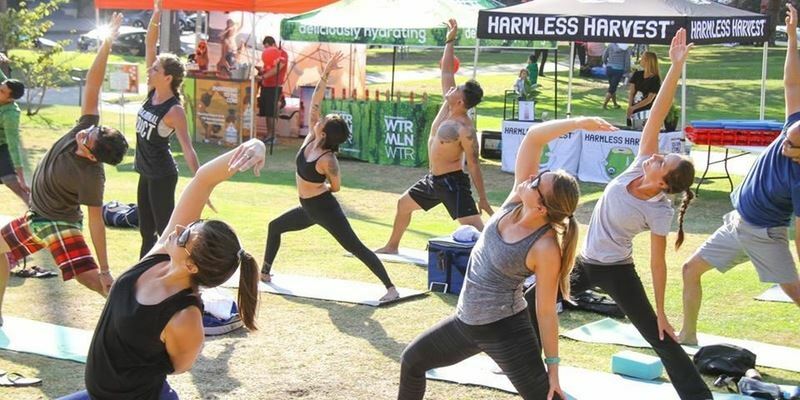 Santa Monica's climate action efforts consist of more than just reducing greenhouse gas emissions - it is to make Santa Monica a more livable, connected, and healthy community. In order to get to carbon neutrality, we all need to work together. Please fill out this survey to inform the City of what you will need in order to help Santa Monica become a more livable, healthy community, as well as help residents reduce money spent on utility costs by saving energy and water. The Ocean Park Association's volunteer action group, TeamOPA, is looking for fresh ideas and ways to serve our neighborhood. Contact us through "take action"above or e-mail teamopa.santamonica@yahoo.com. Teamwork gets it done! Don't miss this opportunity to let your voice be heard. Take the 2016 Santa Monica Wellbeing Survey today! pioneering effort to measure community wellbeing in Santa Monica. and you will help inform Santa Monica’s Local Wellbeing Index. You can learn more about The Wellbeing Project at http://wellbeing.smgov.net/. Please direct inquiries about The Wellbeing Project to the City of Santa Monica Office of Wellbeing: wellbeing@smgov.net. If the survey link doesn't open when you click it, please try copying and pasting the entire URL into your browser. Please note that the survey is for adult residents (18 years of age and older) of Santa Monica only. We were recently featured on Southern California Homes, one of the top sites for Santa Monica, CA Real Estate. Check out the article here: Ocean Park Association Gives Neighborhood Residents A Voice.